This post is sponsored by Sydney Local Health District, authorised by Dr Teresa Anderson, Chief Executive. 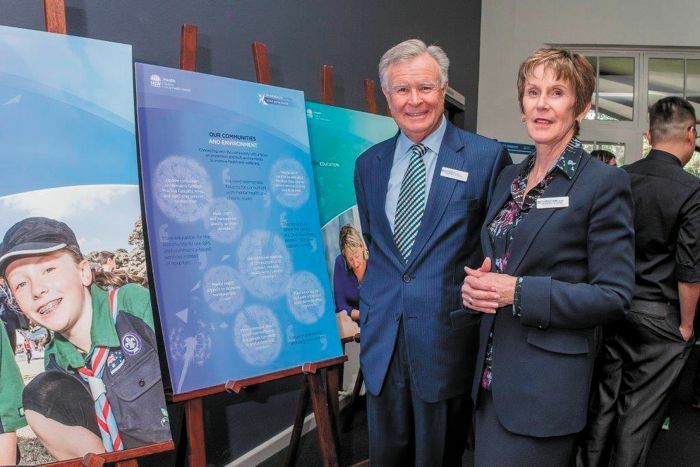 It’s been five years since the Chris O’Brien Lifehouse opened on the Royal Prince Alfred Hospital (RPA) campus so we are joining forces with them in November to celebrate our collaboration. It’s been a very busy and rewarding five years where our best and brightest have worked together to deliver excellent cancer services to the people of Sydney and produce internationally-recognised research. As part of the celebrations on November 5, we will hold an open day at RPA where you can get a firsthand look at some of our services and highly advanced technology, learn about the hospital’s history and meet some of our amazing people. We’ll also have food and music, so I hope to see you here. In other news, our Healthy Link Worker Shane Brown has been busy making connections with non-government and government organisations in Waterloo, and connecting with residents. Our Planning Unit is also developing an action plan informed by recent Waterloo forums held with key community groups and individual residents. Shane will be at Counterpoint on Wednesday mornings so if you would like to meet with him, please make an appointment through Counterpoint. We are supporting the annual youth Mad Pride event which will be held in Waterloo on October 18 and are looking forward to participating. Organised by Weave Youth and Community Services, Mad Pride is a free event showcasing and celebrating the creative achievements, resilience and capacity of young people while breaking down the stigma that can be associated with mental health experiences. This year, Mad Pride will begin with an Expert Youth Panel which gives health professionals and government an opportunity to hear from young people about their experiences of the mental health system and where they see the gaps and areas for improvement. There will also be interactive activities, collective live art, video diary, graffiti workshops, art exhibitions, delicious food and drinks and performances by our young people and guests that link with this year’s theme for Mental Health Month – “Share the Journey”. Please head along to Commune at 901 Bourke St, Waterloo, between 4pm and 8pm on October 18 to join in. For more information, please contact Nicole@weave.org.au. In closing, we are holding our annual general meeting at the Centre for Education and Workforce Development, corner of Cecily and Darling streets, Rozelle, on November 1. It’s a great opportunity to come along and hear about some of the amazing work being conducted across Sydney Local Health District. For more information, please contact 9515 9513.